Akio Yamane's bloodline is cursed! Will his hot guardian deity break the curse...or merely his heart in the process? Between Akio Yamane's cursed bloodline and Tsumugi Shirota's family trickery, guardian deities Setsu and Kurayori have their hands full. Throw love in the mix and it's no wonder fireworks erupt! High schooler Tsumugi is the temporary bride of the otherworldy Master Kurayori. 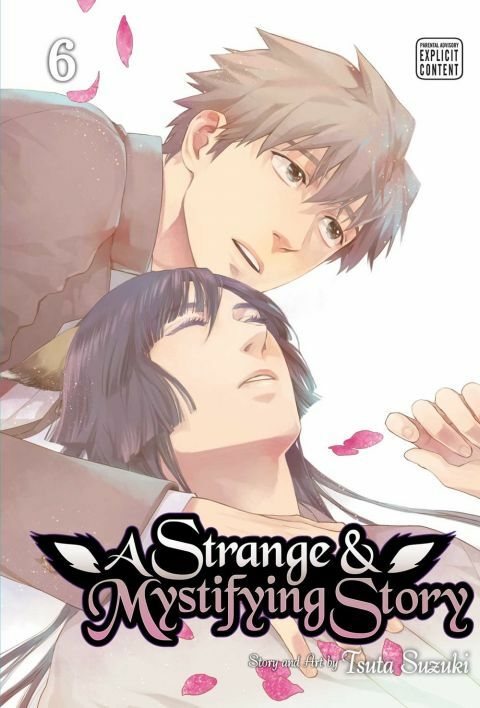 Recently, their everyday life has become complicated by the arrival of a strange man named Magawa, who, in his grief over losing his fianc�e, is seeking to use beings like Master Kurayori for his own ends. Tsumugi's love for Master Kurayori is so great and pure it overcomes gender, age, and species. But is love enough to save his beloved from the ill fate awaiting him? Other products for "Strange And Mystifying Story" in "Books"